" Sweetest Jesus, my Lord and Master, through your holy passions you have healed my evil passions, and through your sacred wounds you have cured my sinful wounds, Grant me compunction, Purify my body with the fragrance of your life-giving body, and cast out the bitterness with which the adversary has fed me. Lift up my earth=bound mind to you and take me out of the pit of perdition. I have no sincere repentance, I have no true compunction, I have no counsoling tears to lead me as a child of God to my spiritual inheritance. My mind has been darkened through worldly passions. I cannot look up to you in grievng remorse. I cannot warm myself with tears of love for you. But, Lord Jesus Christ, the treasury of blessings, grant me through repentance and a diligent heart to seek you. Grant me your grace and renew in me the form of your image. I have forsaken you, but Lord, do not forsake me. Come out to seek me, lead me to your pasture, number me among the sheep of your chosen flock and nourish me with the food of your sacred mysteries, through the intercession of your all-pure Mother and of all the saints. Amen. "Lord, deprive me not of your heavenly and eternal blessings. Lord, deliver me from everlasting torments. Lord, if I have sinned in word or deed, in mind or spirit, forgive me. Lord, deliver me from all distress, ignorance, forgetfulness, laziness and stony hardness of heart. Lord, deliver me from all temptations and spiritual abandonment. Lord, enlighten my heart which has been darkened by evil desire. Lord, being human, I sin, but you, being God, have mercy on me. Lord, take heed of the weakness of my soul, and help me with your grace that your holy name may be forified in me. Lord, Jesus Christ, inscribe the name of your servant in the book of life, granting me a blessed end. Lord my God, I have done nothing good, yet by your compassion help me to make a new beginning. Lord, refresh my heart with the dew of your grace. Lord, God of heaven and earth, remember me, who am sinful, wretched, evil and impure, in your kingdom, according to your steadfast love. Lord, receive me in repentance and do not forsake me. Lord, put me not to the test. Lord, grant me good thoughts. Lord, grant me tears of repentance, remembrance of death and contrition. Lord, grant me sincere confession of my thought. Lord grant me humility, deliverance from my own will and obedience. Lord, grant me patience, forbearance and meekness. Lord, implant in me your holy fear, the source of all blessings. Lord, enable me to love you with all my soul, my mind and my heart; and my neighbor as myself. Lord, protect me from evil people and demons, from impure passions and all unseemly things. Lord, as you commanded; Lord, as you know all things; Lord as you desire your goodness; let your will be done in me. Lord, let your will, not mine, be done through the intercessions of the all-holy Theotokos and of all the Saints, for you are blessed forever. Amen"
"There is a generation that are pure in their own eyes, and yet is not washed from their filthiness." (Solomon) For some do not confess at all or confess very rarely; those ones who do not run to the bath of confession and be cleansed. And still others do not confess as they should, neither performing the necessary examination of their conscience and of their sins, nor confessing with the necessary contrition and compunction, nor with the resolve not to sin again, nor having fulfilled their rule, all of which are elements of confession pleasing to God. Rather, they confess unexamined and unprepared, with no compunction, with no resolve and not having fulfilled their rule, and simply, they confess out of routine only, when it happens that Pascha or Christmas or Theophany is approaching. Therefore, in this fashion those unfortunate Christians confess wrongly and they think that they have confessed well, mocking the truth and being greatly harmed. We then, being saddened on account of the great harm and delusion of our brother Christians, to motivate unconfessed sinners to confess frequently; to confess so that their confession may be God-pleasing and beneficial, and in turn, that the forgiveness of their sins from God through the Father Confessor may be certain and without question--run to the cathartic bath of sacred confession in order to be cleansed: "wash you, make you clean; put away the evil of your doing from your souls." (Is. 1:16) As many of you who have spiritual wounds in your soul and your wounds stink and are corrupt because of your foolishness. Run to that wondrous treatment in order to be healed. As many of you who have confessed wrongly up until now, attend to your soul for the love of God. Naaman having washed seven times in the streams of Jordan, was cleansed of his grievous leprosy. One is washed anew of every evil, in the depth of repentance, and thus is cleansed from the defilements of diabolic assaults. Therefore, the purpose of the Jordan was repentance, in which John washed the offenses of the crowds. I fervently ask you to make a small supplication to God for my soul which labors and works for God. "There are two kinds of men, so far as capacities for spiritual understanding, if not experience, are concerned. In the case of the first, where conversing with them, our tongue sticks to the roof of our mouth, there is no echo, no response--just deafness and blindness. And these are nearlyt always people who are happy, well-fed, whose lives are well-organized. They have a sense of humour, are witty, good-natured. But there are others who drink in every word about apiritual things, who understand the slightest hint, who are hard on themselves, capable of repentance and feeling, who are mortbidly sensitive towards of the sorrows of others--they are the sick, the unfortunate, the dying. I used to fear them, but now I am glad of every opportunity to be in precisely such company, and always learn a lesson from it. How many times have I seen, when hopelessly sensual people, under the influence of sickness, become sensitive, spiritual and responsive. The reason is clear--a person avidly embraces life and happiness, pleacing it above everything else, above the Church, God, the love of Christ: and so the misfortune which suddenly befalls him takes him, unaware." "The Jews did not believe the testimonies of the Scriptures, though they possess the testimony of Christ Himself, of St. John the Baptist, of Christ' own deeds, and finally the voice from heaven, the Father's testimony. They did not believe, "because they did not have the love of God" in them (John 5:42). This is the secret of all unbelief: if there is no love of God, then neither the direct voice from Heaven nor inner illumination nor the most genuine testimonies are of any use. "We must not only bear misfortunes but see in them the hand of the Master of destinies." "Stupidity begins with the appearance of obstinacy and self-assurance--that is with the emergence of pride." "All pleasures and enjoyments degrade the soul, weakening it spiritually and undermining its strength. 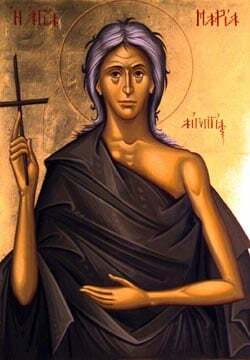 The meaning of suffering is this: it is a participation in the suffering of Christ, a buuilding up of the body of Christ in the world (the Church), a bearing of the cross, a following of the example of the saints, incompatibility with the world." "Blindness towards our own sins is due to partiality. Probably we see many things, but we estimate them wrongly, we make excuses for them and relate them incorrectly to each other--this is an almost instinctive reaction. It is most important for our salvation to see our own sins. To love the Truth more than ourselves, to reject self--this is the beginning of salvation." "The indifference of believers is something far more dreadful than the fear that unbelievers exist." "The new Orthodox conception of the Devil is that on a non-entity, of a shadow. The majestic figure of Mephistopheles is alien to us. The Devil is not loftiness==he is mediocrity and triviality." CATHARSIS - purification of the heart and mind from egotistical passions and additions. The Christian Church is a Scriptural Church. The Bible is the supreme expression of God's revelation to the human race, and Christians must always be "People of the Book." The Bible is something that lives and is within the Church. It is from the Church that the Bible ultimately derives its authority, for it was the Church which originally decided which books form a part of Holy Scripture; and it is the Church which can interpret Holy Scripture with authority. There are many sayings in the Bible which by themselves are far from clear and individual readers are in danger of error if they trust their own personal interpretation. "When the Spirit of truth has come, He will guide you into all truth." (1 John 16:13). It is this divine promise that forms the basis of the Orthodox devotion to Tradition. An Orthodox must see Tradition from within, he must enter into its inner spirit. Tradition is a life, a personal encounter with Christ in the Holy Spirit. Tradition is the life of the Holy Spirit in the Church . Tradition is the constant abiding of the Spirit; it is the principle of growth and regeneration. St. Basil said: "Some things we have from written teaching, others we have received from the Apostolic Tradition handed down to us in a mystery; and both these things have the same force for piety." The Orthodox Church has the same New Testament as the rest of Christendom. As its authoritative text for the Old Testament, it uses the ancient Greek translation called the Septusgint. When this differs from the original Hebrew, Orthodox believe that the changes in the Septuagint were made under the inspiration of the Holy Spirit. Orthodoxy, while regarding the Church as the authoritative interpreter of Scrpture, does not forbid the critical and historical study of the Bible. Holy Scripture is read constantly at Orthodox services: Old Testament readings occur at Vespers; the reading of the Gospel is included in Matins on Sundays; at the Liturgy a special Epistle and Gospel are assigned for each day of the year, so that the whole New Testament is read at the Eucharist (except the Revelation of St. John). The Lord's Prayer is read at every service. The Liturgy contains 98 quotations from the Old Testament and 114 from the New Testament. Orthodoxy regards the Bible as a verbal icon of Christ. In every church the Gospel Book has a place of honor on the altar; it is carried in procession at the Liturgy; the faithful kiss it and prostrate themselves before it. Such is the respect shown in the Orthodox Church for the Word of God. The Tradition of the Church is expressed not only through words, not only through the actions and gestures used in worship, but also through art--through ther Holy Icons. An Icon is one of the ways whereby God is revealed to us. Through the Holy Icons, the Orthodox Christian receives a vision of the spiritual world. Because the Icon is part of Tradition, Icon painters are not free to innovate as they please as their work must reflect the mind of the Church. Icon painters should be sincere Christians, living within the spirit of Tradition. These are some of the primary elements which make up the Tradition of the Orthodox Church: Scripture, Liturgy, Icons. It is the Holy Spirit which speaks through them all, and together they make up a single whole, each part being understood in the light of the rest--Theology, mysticism, spirituality, moral rules, worship, art. Doctrine cannot be understood unless it is prayed. A theologian is one who knows how to pray, and he who prays in spirit and in truth is by that very act a theologian. And doctrine must also be lived. The Creed belongs to those who live it. Faith and love, theology and life are inseparable. The Creed is introduced with the words, "Let us love one another, that with one mind we may confess Father, Son and Holy Spirit, Trinity one in essence and undivided." This exactly expresses the Orthodox attitude to Tradition. If we do not love one another, we cannot love God; and if we do not love God, we cannot make a true confession of faith and cannot enter into the inner spirit of Tradition, for these is no other way of knowing God than to love him. "I am continually pondering the text,"If ye were of the world, the world would love his own." (John 15:19) Our sufferings are the sign that we belong to Christ; and the greater they are, the more evident it is that we are not "of the world." Why did all the saints, following the example of Christ Himself, suffer so much? Contact with the world, being plunged into the midst of things, gives pain to the followers of Christ; only the children of this world suffer no pain." Every man who is a Christian must always be ready to renounce everything in God's name, if God demands it. Is prayer better at home than in Church? "We have defiled thy image, and are enslaved by lust." words from one of the prayers before Holy Communion The delights of the world destroy spiritual life; they lead to the loss of cool sobriety of the spirit, of clarity of thought, of self-control; attention is dispersed, the will weakened, the personality debilitated, scattered, disordered. The purifying force and significance of suffering are immense. Our spiritual growth mostly depends on how we bear our sufferings. Courage in the face of them, readiness to accept them. How shall we combine attentiveness to our own selves and the renunciation of ourselves? By paying attention to our sins, we renounce ourselves. "When human beings completely obliterate their own egotism and reach the state of Theosis, or union with God, then whatever they wish is what God wishes and it is given. When a human being eradicates personal desires completely and reaches the state of apathia (liberation from egotistical passions), they become a "vessel of the Holy Spirit." Then whatever that person wishes is given because it is what God actually wishes. The consciousness of the saint is fully attained with the spirit of God. Whatever good or bad things happen to us, they have only one single purpose: to awaken us to the reality of God and help us on the path toward union with Him. It is up to us whether or not we take advantage of those wake-up calls. True faith means I live with God. I am one with God. I have come to know God and therefore I know that He truly Is. God lives inside of me and is victorious over death and I move forward with God. According to the wisdom tradition of the holy elders, Catharsis is essential in helping us overcome two basic obstacles that keep us cut off from the knowledge and wisdom of God. The most fundamental barrier is first and foremost the sum total possession of our worldly passions and desires. These passions are the products of the enchantment and enslavement of our hearts and minds to the gross and transient material universe with its myriads of temptations and seductions. The second fundamental barrier preventing us from knowing God is our exclusive reliance on our senses and rational intellect for understanding reality, which we have come to equate with gross matter. People are confused. They think that the aim of our existence is to become good human beings. No. The essentiaL purpose of the Ecclesia is the means through which a human soul may attain Christification, its saintliness, its union with God. Christ came to the world to give us Himself. To show us the Way toward our salvation. God became human so that humans may become God." 1. I will come to Church at least once every Sunday. A real reason will be necessary to keep me away. If there is such a reason, I will read the service out of my Prayer Book. 2. I will come to Church on all of the major Holy Days of the year if at all possible. 3. I will refrain from servile work on these days, but I will especially endeavor to perform good deeds for others. 4. I will keep the required fasts of the Church, not only in diet but in word and deed and thought. 5. I will come to church on time and will participate and assist in the services of the Church. I will behave with decorum in Church and will not leave before the conclusion of services. 6. I will receive Holy Communion with regularity; certainly not less than four times each year and more often if possible. 7. I will say my privates prayers morning and evening every day. 8. I will ask God to bless my meals and I will give Him thanks afterwards. 9. I will read my Bible daily and participate in family prayer. 10. I will pay proper respect to the Clergy and especially to my own Pastor. 11. I will not lay myself open to defection from Christ's Church by participating in the religious meetings of non-Orthodox sectarians. 12. I will see to it that my children receive the proper Orthodox religious training, and that they attend Church and Sunday School regularly. 13. I will love my neighbor--my friends and my enemies. I will always try to do good to them. I will be quick to forgive. 14. I will make a regular contribution to my Church according to the local plan of giving. 15. I will also make a regular contribution to the missionary work of the diocese. 16. I will become a member of some parish organization and help forward the parish activities. 17. I will keep all of the laws and precepts of the Church such as those forbidding marriage outside the Church. 18. I will baptize my children as soon after birth as possible. I will choose religious persons for Godparents and a Christian name for my child. 19. I will learn more about my faith by reading and study. I will subscribe to some Church paper and read it in order to be up to date as a Church member. 20. I will invite my friends to come to Church with me and will speak well of the Church to them. In other words, I will be a missionary. 21. I will be LOYAL to God, to the Church, and to my parish in all things at all times. This prayer is said inwardly by devout Christians many times during the course of the day or night. In it we ask God the Son to forgive us our sins. Christ means The Annointed (Acts 10:38). This name was given Him by the Prophets while they were still expecting His coming upon earth. "O Lord Jesus Christ, open up the eyes of my heart to hearken unto Thy Word and to understand and do Thy Will, for I am a pilgrim upon the earth. Conceal not from me Thy commandments, but unveil mine eyes that I may comprehend the wonders of Thy Laws: tell me the secret and hidden things of Thy wisdom. O my God I trust that Thou wilt illumine my mind and comprehension by the light of Thy reason, that I may not simply read the lives and words of the Saints not to sins unto myself, but unto renovation and illumination and sanctification, and unto the salvation of my soul and unto inheritance of life everlasting. For Thou dost illumine those in darkness, and from Thee cometh every good gift and every perfect gift, and unto Thee do we ascribe glory: now and ever, and unto ages of ages. Amen." ________________________________________________________________________________ Letter to Orthodox & non-Orthodox denominations & Protestant Evangicals PART 1 ________________________________________________________________________________ Glory to Jesus Christ! St. Ignatus of Antioch replied, "To the Philadelphians" to Evangelical demands for Scriptural proof: "It is Jesus Christ who is the original documents. The inviolable archives are His cross and death and His resurrection and the Faith that come by Him." Orthodoxy is the very criterion of Christianity established by the Lord Jesus Christ Who said, "I will build My Church and the gates of hell shall not prevail against it." (St. Matthew 16:18) (i.e. men who have gone astray, proud blasphemers of the true Church who are under the influence of the dark powers and who are in all justice the 'gates of hell' because through their false and perditiouss teaching they deceive the inexperienced and lead them into the depths of hell). The Church is unity in Christ, the closets union with Christ of all who rightly believe in Him and love Him, and all their union is through Christ. The quality of union with Christ is internal, intimate and intruitive so much so that Holy Scripture primarily characterizes Christ and His Church as a single organism, He being the Head and She the Body: "For all the body is one, and hath many members, and all the members of that one body, being many, are one body: so also is Christ." (1 Corinthians 12:12) St. Paul slays, "There is one Body, and one Spirit, even as ye are called in one hope of your calling; one Lord, one Faith, one Baptism; one God and Father of all, Who is above all, and through all and in you all." (Ephesians 4:4-6) Here the Apostle utilizes three triads to capture the Trinitarian experience of Christianity: the one Body of the Orthodox Church is animated by the one Spirit (the Holy Spirit) and She alone is the one hope of salvation; Her Head is the one Lord Jesus Christ, Who spreads the one Faith of Orthodolxy through the singular Mystery, the one God, Who is above all, as the Father, and through all, as the Son, and in all, as the Holy Spirit. St. Paul the Apostle specifically identified the Body of Christ as the Church of the living God, the pillar and the ground of truth. (Timothy 3:15)Like a man without a foundation built a house upon the earth (St. Luke 6:49), Evangelicalism builds its church on the flimsy foundation of personal acceptance of Jesus Christ as Lord, God and Savior. Christ Himself dismisses this as an unreliable test of Christianity: "Not every one that saith unto Me, Lord, Lord shall enter into the Kingdom of Heaven." (St. Matthew 7:21) Evangelicals remain abysmally unfamiliar with Orthodox Christianity and typically denigrate it either as an ossified variation of Roman Catholicism or as a pharisaical cult. The Reformation infected each and every Protestant with the idea of idio-Papism which continues to produce a great multitude of impotent folk, of blind, halt withered. (St. John 5:3) The Reformers deposed the Pope and placed the Bible in his place. Failing to understand that the Bible grew out of the Church, they seized upon it as the exclusive foundation of their faith. Having separated the Bible from the Church in which it originated and which it expresses, and having rejected the Roman Church, they lost an enduring idea of the Church itself and separated into numberless denominations. The Church of Jesus Christ of Latter-day Saints is "the Lord's kingdom once again established on the earth" (from the "Book of Mormon: Another Testament of Jesus Christ") after an alleged absence of eighteen centuries? If you are Roman Catholic, your Church shared the same rich apostolic and doctrinal heritage as the Orthodox Church for the first thousand years of its history. Lamentably, in 1054, the Pope of Rome broke away from the other four Apostolic Patriarchates (Constantinople, Alexandra, Antioch and Jerusalem) by tampering with the Original Creed of the Church and considering himself to be infallible. Thus, your Church is 1,000 years old. IF YOU ARE AN ORTHODOX CHRISTIAN, YOUR RELIGION WAS FOUNDED IN THE YEAR 33 by Jesus Christ, the Son of God. It has not changed since that time.